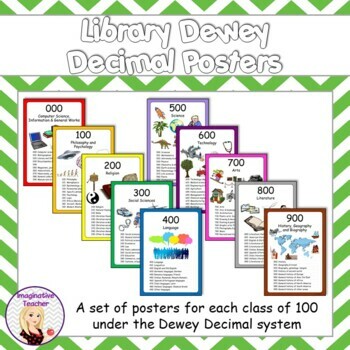 This is a set of 10 colorful posters showing the different areas categorized by the Dewey Decimal system. 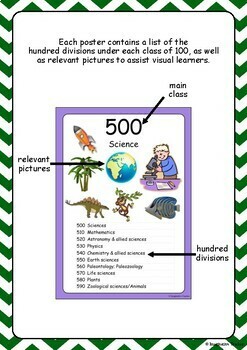 Each poster shows the main class in a large font at the top and the different numbered subheadings below, with bright colorful pictures to help visual learners find the books they are after. 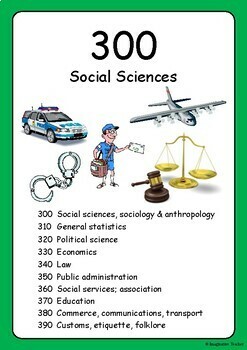 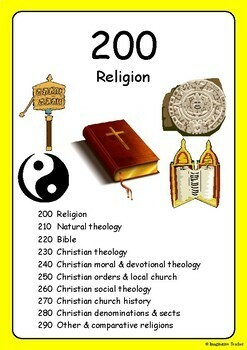 Great for display around a library or reading area.